Basilio is not a good source of information. He puts speculation like this out there just to stir things up. When I was at practice Pruitt was not happy with fair because he was not holding players accountable for doing technique and drills perfect every time. Fair looked like a grad assistant. 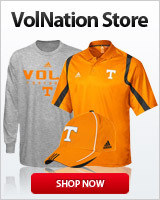 Hate it, because Fair is a VFL, but I suspected it might happen. Didn't fit Pruitt's style of coaching and he wasn't a strong recruiter. Still interested in seeing what's going on with David Johnson. He's still on staff so far as I can tell, so does that mean he's an RB coach now? Or do we have both Tee and DJ at WRs? Pruitt just seems like he is a Coach that is going to hold everyone to a standard of excellence everyday like Saban. The only way to catch Georgia and Bama, until you can match recruiting, is to outwork them. That's from top to bottom. Those that don't pull their weight have to go. Yep he's the antithesis of Butch Jones when it comes to his assistants. Basilio (yes, I know) saying that CJP not happy with their lackluster recruiting and that he is looking to replace them. “From here on out, we WILL have Top 5 classes, if you can’t help make that happen, go somewhere else”. Yeah that ole Basilio guy doesn't know jack squat, oh wait! I think it’s more of a hope. Basilio isn't a blind squirrel. He doesn't have 20/20 vision either, but he isn't blind. Oh Lord, please let this be true. Well...he is at least 50% correct. Well, I'll take my crow with garlic salt and pepper. John Brice just tweeted that Fair is out and has cleaned out his office. No offense to you Volnut, but it's time to stop with the "Basilio doesn't know anything, he has no sources" narrative. That's NOT true at all! Tony knows what goes on within that program. He definitely has reliable sources. You answered your own question with your source. Nice. Basilio has been right on everything now for about 2 years. And it is currently being reported Fair is out. Do you even listen? Then turn on them like a pack of rabid rats at the slightest signs a real or perceived failure.